You ("TaskPosters") seek to obtain services (task) by-way-of one or more of our communications platform(s) - taskdoer.com (when going online); one of our (telecommunication) telephone numbers; or in person (at a center, or by reaching our to a physical person). I) - Here, usually, Doer Services "Doers" (taskdoers) work for the amount you post on your listing - minumum wage and up. You may "POST A LISTING FOR A (DO)ER" to do a task. Posting are $3.00 USD per listing. Each event; day and location within a listing constitue a seperate $3.00 USD cost. So, if you have two events on the same day, then to reachout via one posting with 2 events, or two seperate "POSTINGS" with one event each, will cost $6.00 USD. We will place your listing throughtout our taskdoer network. If a sees your posting and is interested, (s)he can respond to it - directly to you, not us. They DO NOT work for us. They work for you, and YOU direct them and give them orders. You Pay them directly. We only receive the posting fee for our part when you place your listing. Your posting will be listed online for 10 days. You will have the option of selecting the length beyond the initial 10 days, or setting it to auto renew until you cancel it. like having an actual person (one of our Finders Worldwide ) physically assist in finding someone according to your posting. Also, if we cannot find a "Taskdoer", you can have a "For; to (do)er" do the task instead. You can have us distribute fliers, hand bills in each Bag of goodies ® Shopping order specific to a location; customer type, or other specs. II) - Here, usually, Doer Services "Doers" (taskdoers) work for not less than $10.00 USD per half hour and up. 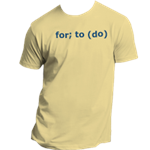 By placing a "REQUEST" via our "Taskdoer Marketplace" (doerservices.com). Here, usually, taskdoers work for not less than $10.00 per half hour. You Pay us prior to, or after work is completed. You DO NOT pay the taskdoer. Here, once again, the Taskdoer(s) do not work for us, they work for you, and you direct them and give them orders. like having an actual person (one of our Finders Worldwide ) physically assist in finding someone according to your request. III) - Here, usually, Doer Services "Doers" work for not less than $10.00 USD per half hour and up, plus an extra $10 USD per hour for having a "For; to (do)er" on the job. For; to (do)ers are the Elite of (Do)ers. You may request a er to do a task. (S)He is an employee of For; to (do) Centers and work for us. They will take their order(s) from us, and you both. You will pay us, or the For; to (do)er directly. 1) You (or someone) purchases a product; request a service to be performed; or submits a request for something. "(Do) ers" (with the appropriate skill(s), who could be a co-worker, or someone in your social network) via our proprietary App. a) All qualified (Do) ers in the local area of the task(s) to be completed are notified via their Mobile Phone or a designated form of communication of their choice, and can choose either to accept, or reject the task. b) The appropriate (Do) ers receives immediate notification. 3) And within minutes, or as requested, someone's on the job, or awaits the start of the job. We allow ALL users to be (Do) ers. This, based inpart upon a users specify skills, talents, location, background, and abilities. 1) Purchase and Request: Information, Products, Services, and Support. - Accept or reject the task. - Receive the appropriate info related to the task(s) - if given it.